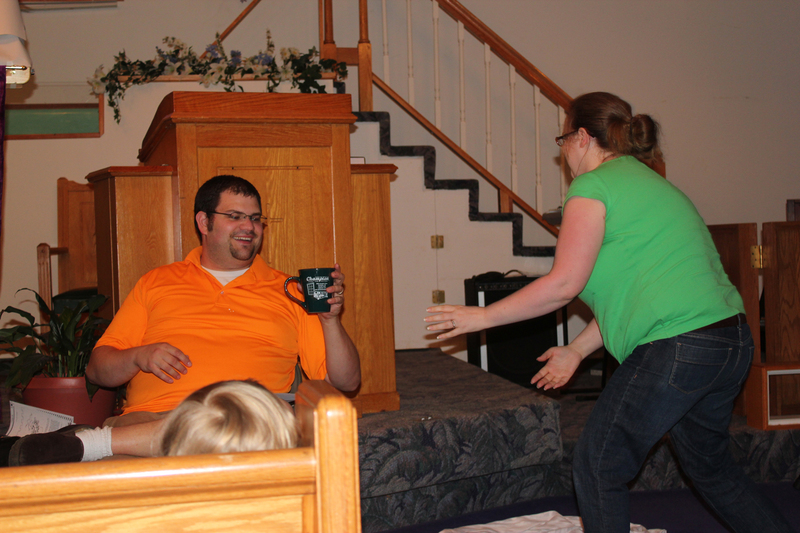 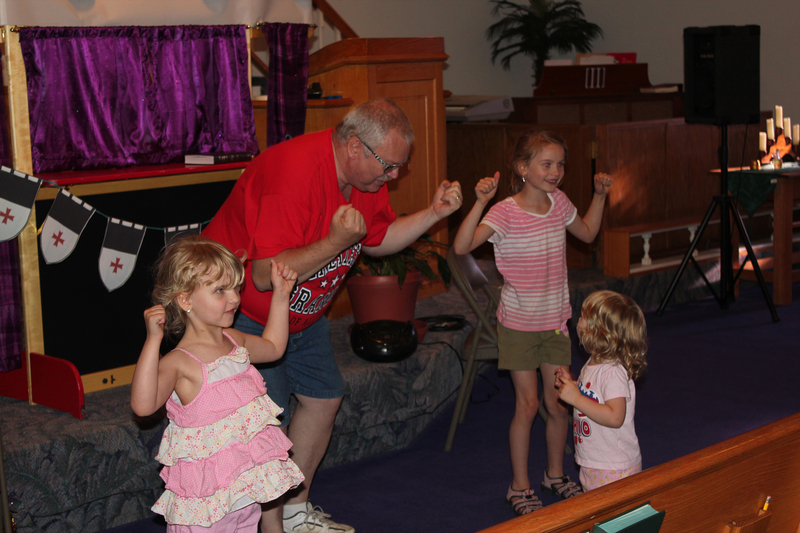 Vacation Bible School Fun for All Ages! 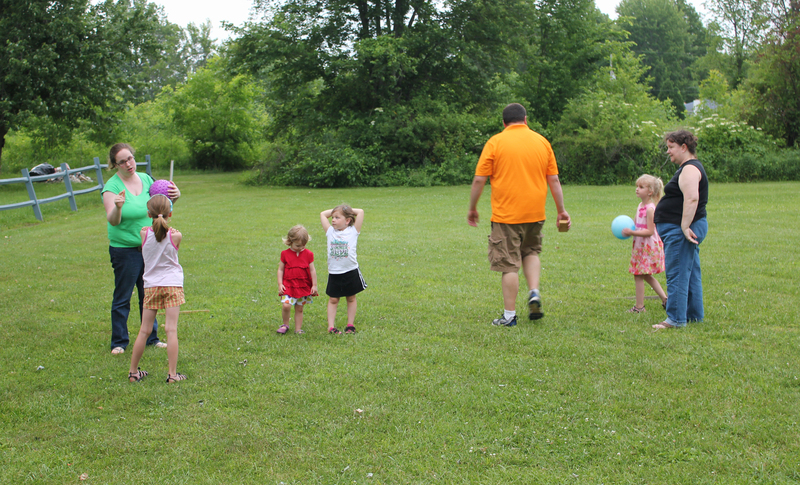 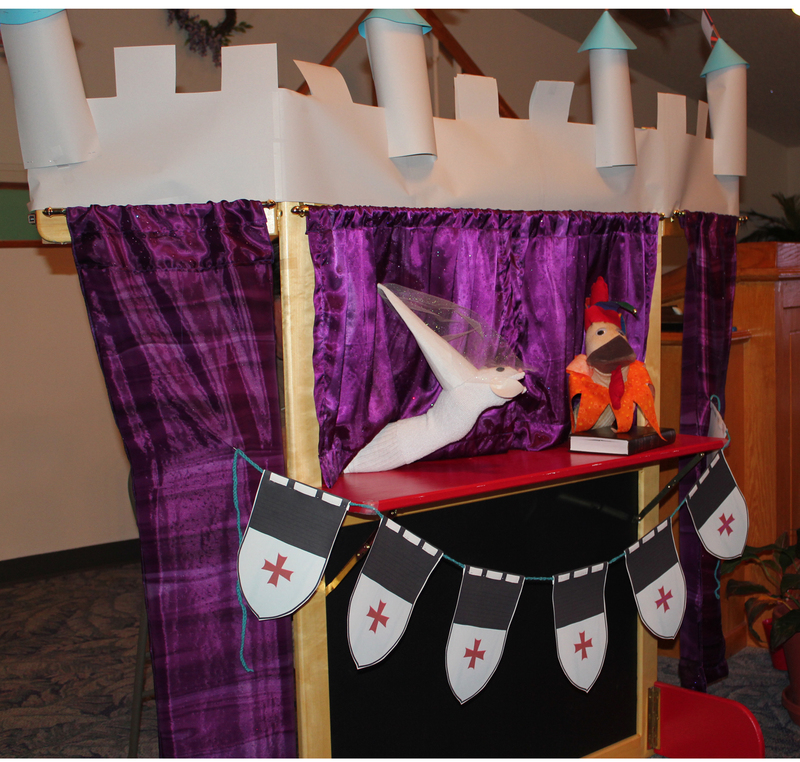 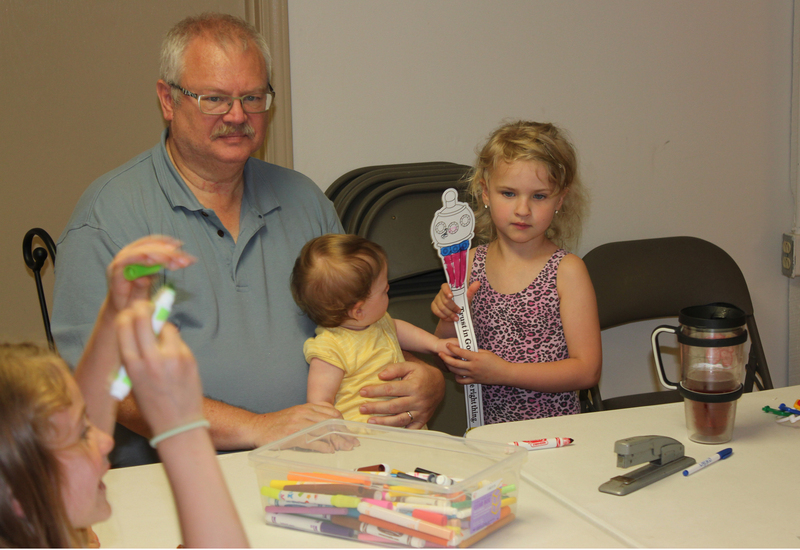 There were snacks, lessons, puppets, crafts, games, singing, smile, giggles, and fun for all ages at the Vacation Bible School held each evening June 16-20, 2014 from 6:45-8:30 pm. 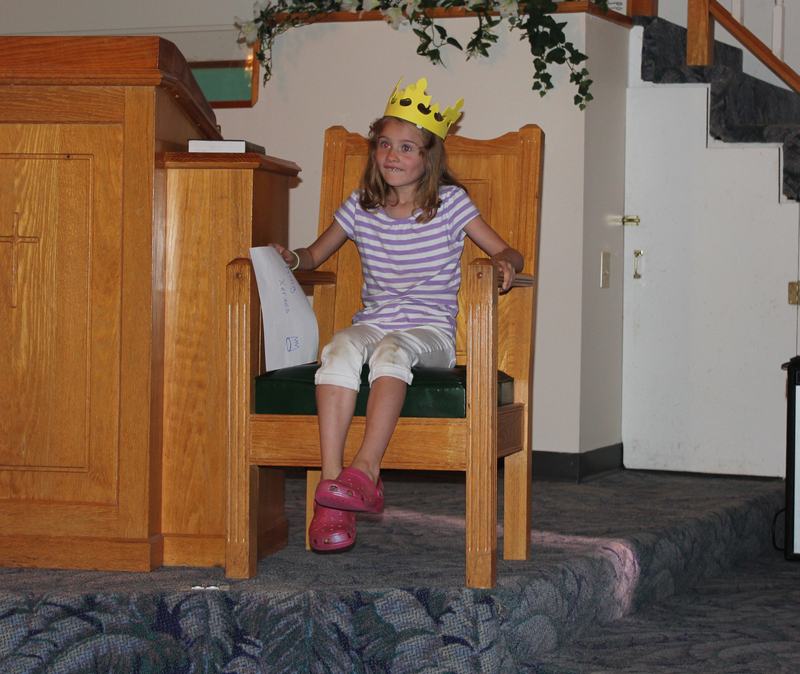 The theme was “It’s a King Thing” using materials from David C. Cook publishers and each evening focused on a different King or Queen from the Bible. 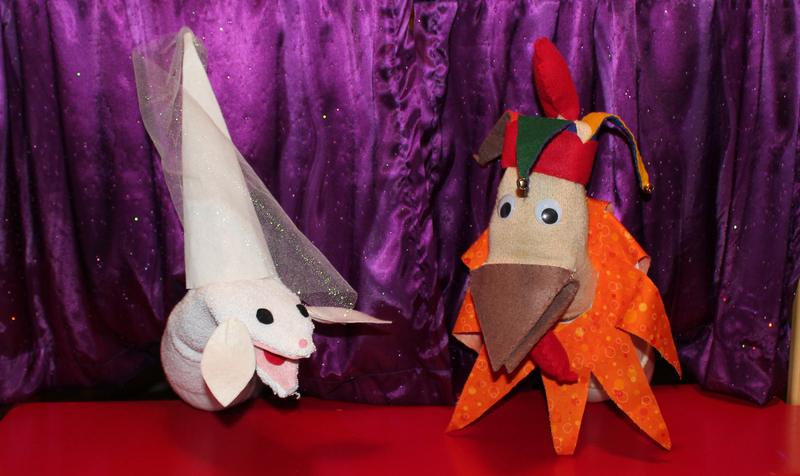 Puppets Lady Legomutton and Chester the Jester introduced the lesson each night after some joyful singing and flag waving. 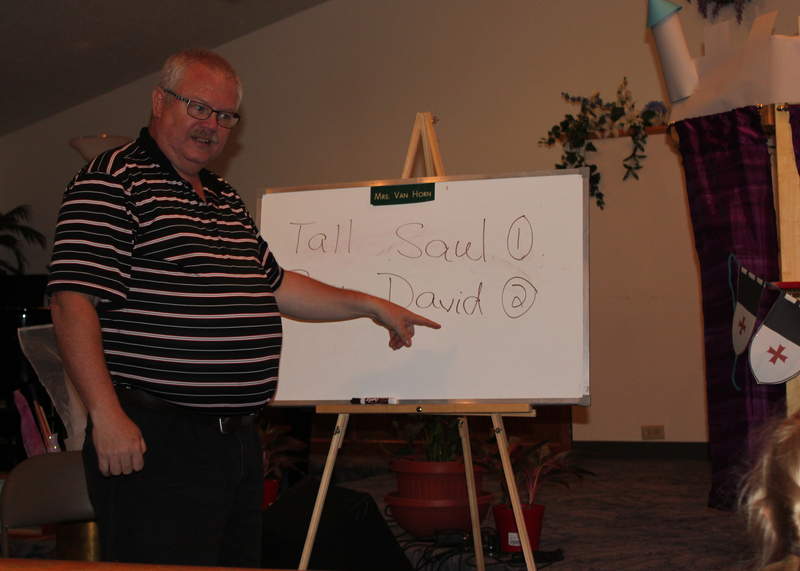 The lessons were on King Solomon (Mon), King David (Tues), King Solomon (Wed), Queen Esther (Thur), and Nehemiah who was the King’s cup-bearer (Fri). 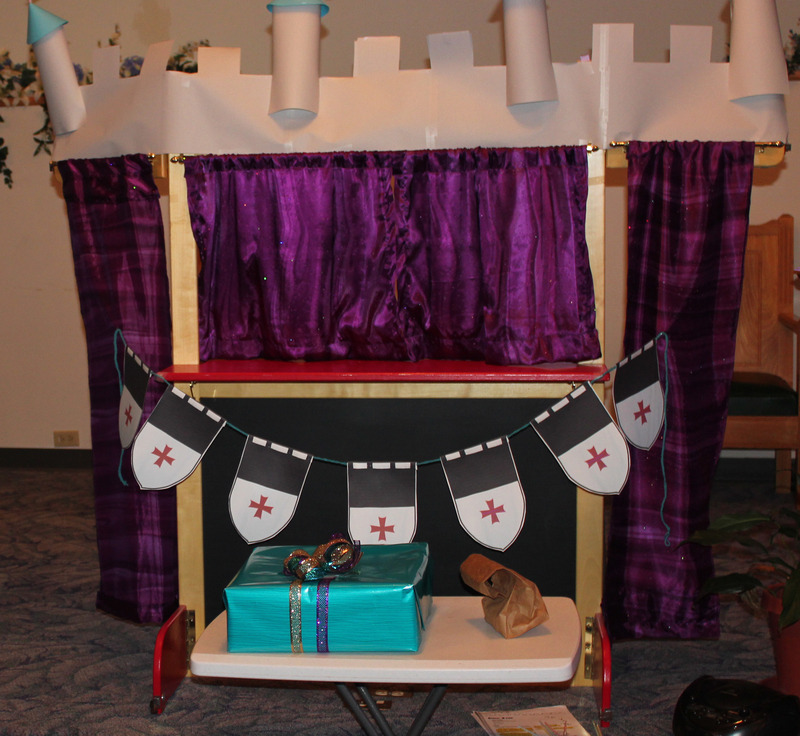 Thanks to all who attended and helped for making it a fun time to learn about these Bible people! 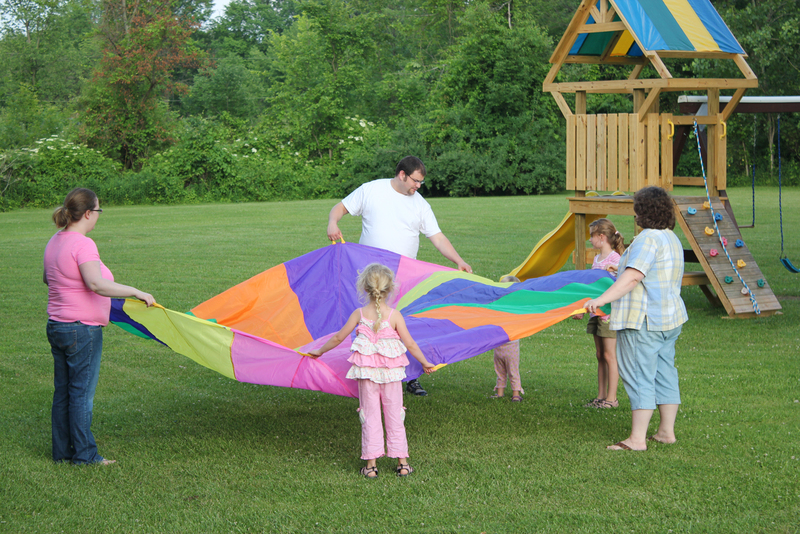 Monday game time used a big parachute. 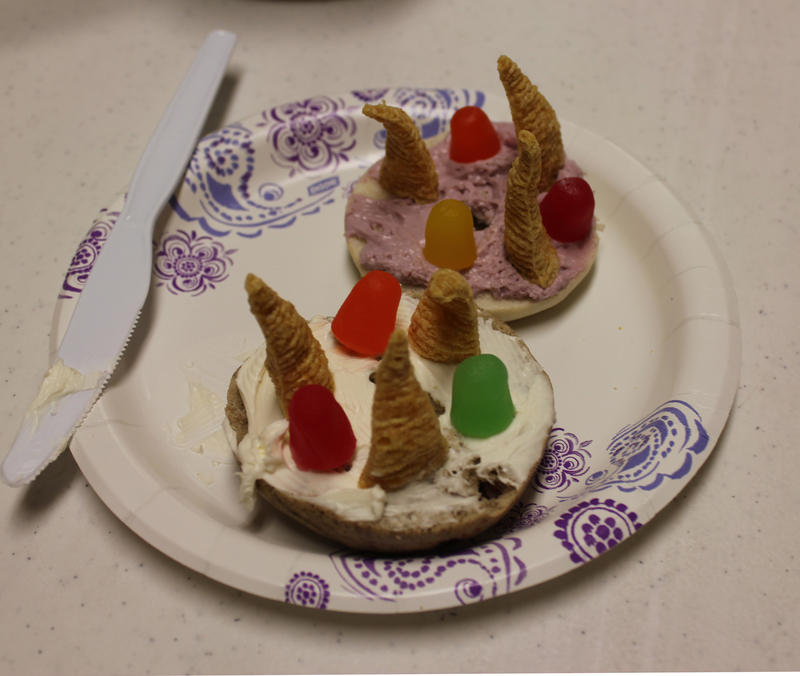 Mon snack was hasty pudding to remind us of when Saul did not wait for Samuel. 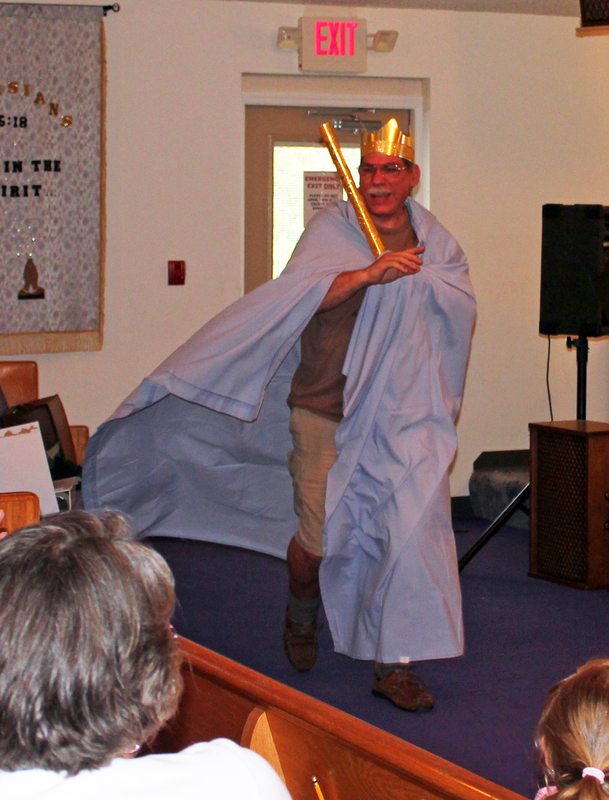 Tues lesson was King David, Israel’s second king. 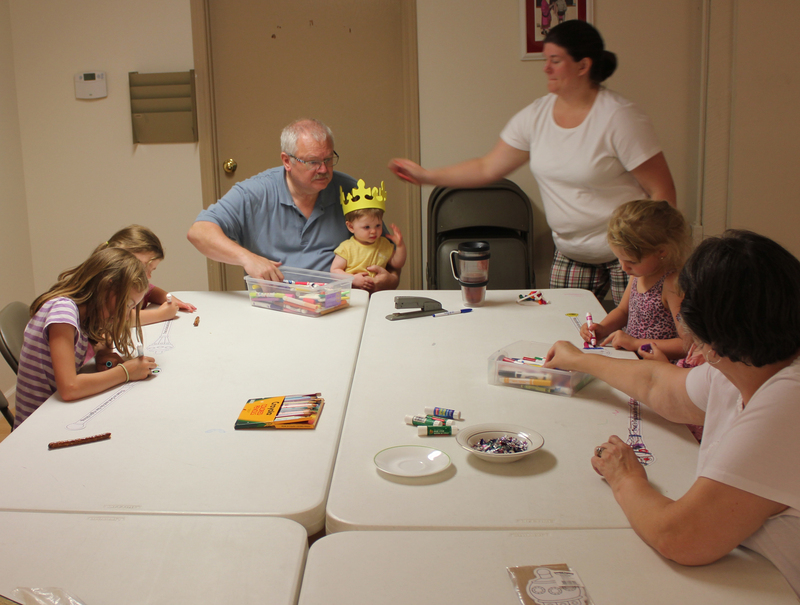 Outdoor game time on Wed.
Marge led the craft time. 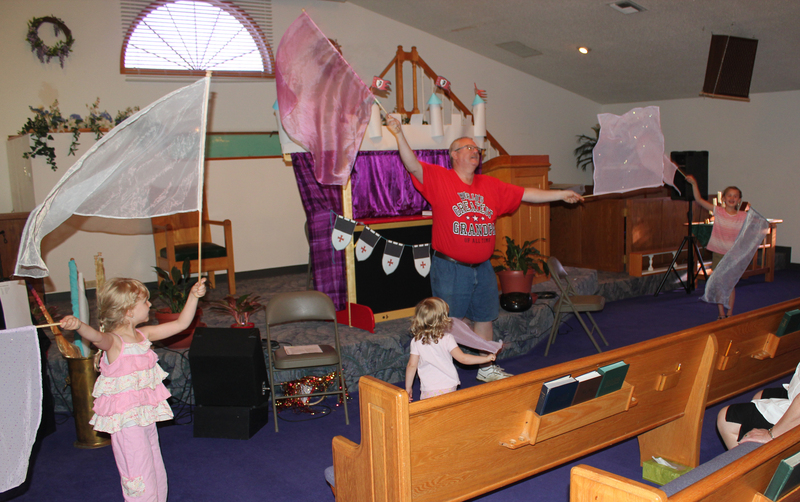 “Joy is the flag flown high from the castle of my heart” was a favorite song! 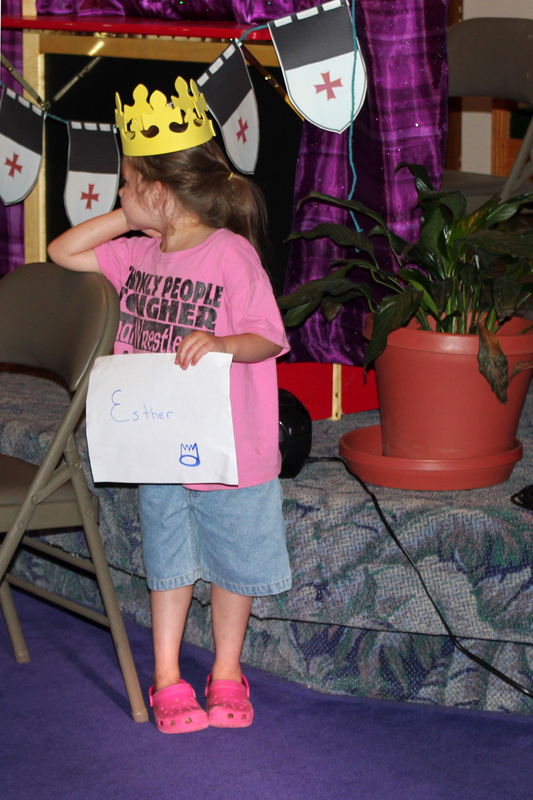 Ellie played Queen Esther in a skit on Thursday night. 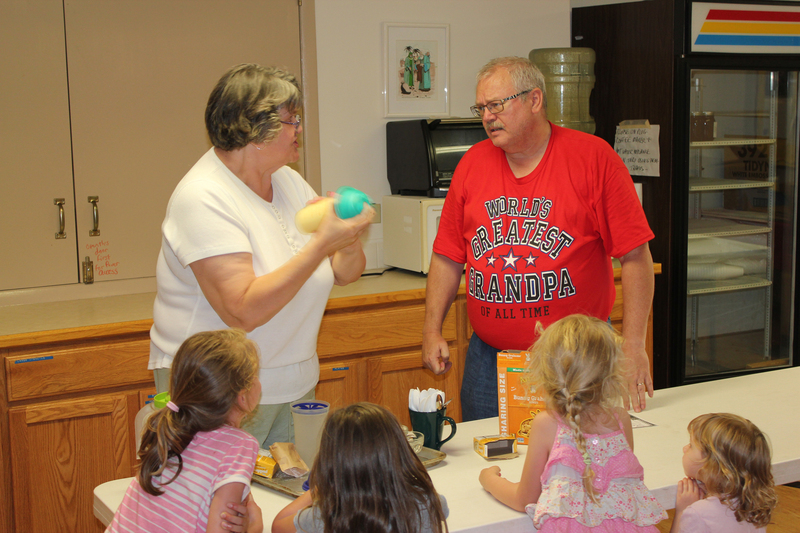 The puppets were made by Shirley Pest and operated by Dean & Susie Fox. 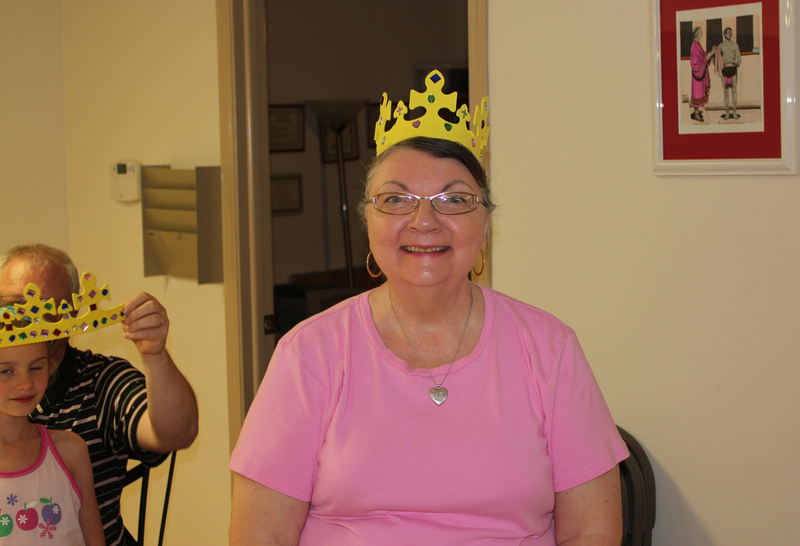 Even Cora had fun with a crown! 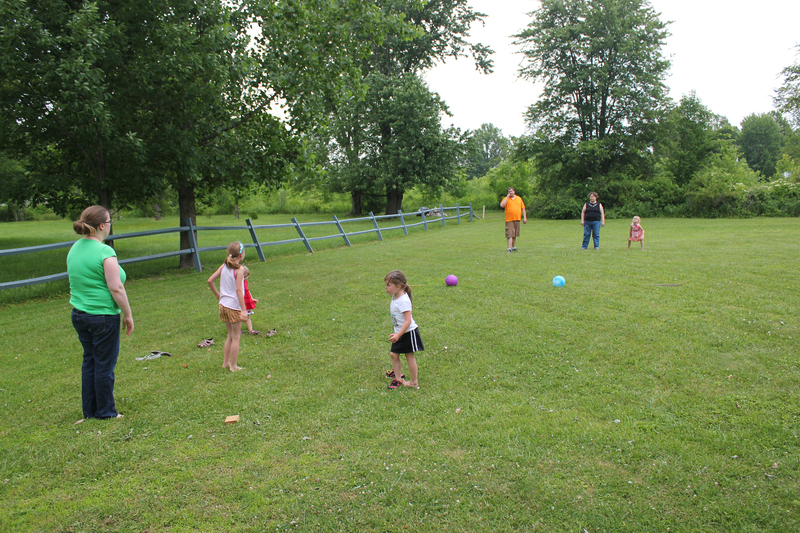 Wed night dodge ball game! 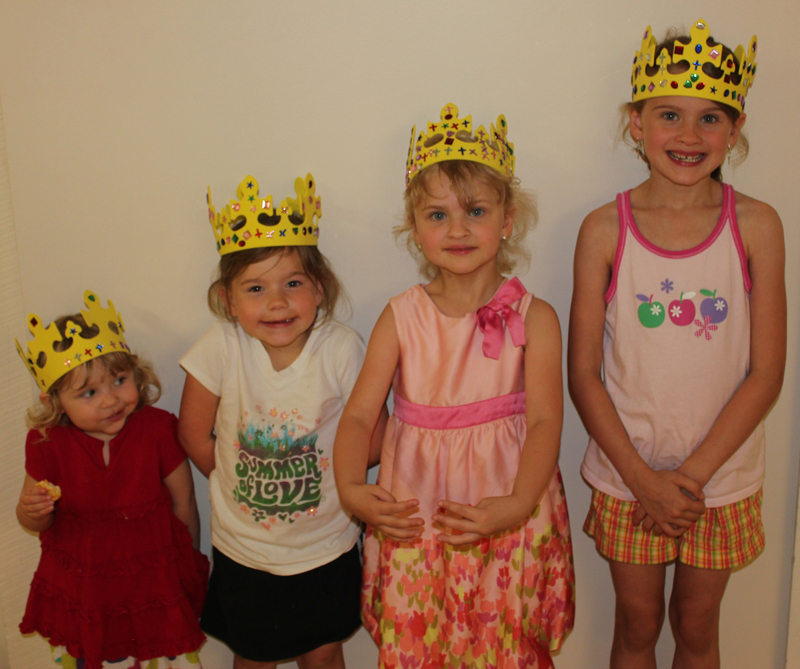 Four girls with crowns they made Wed night. 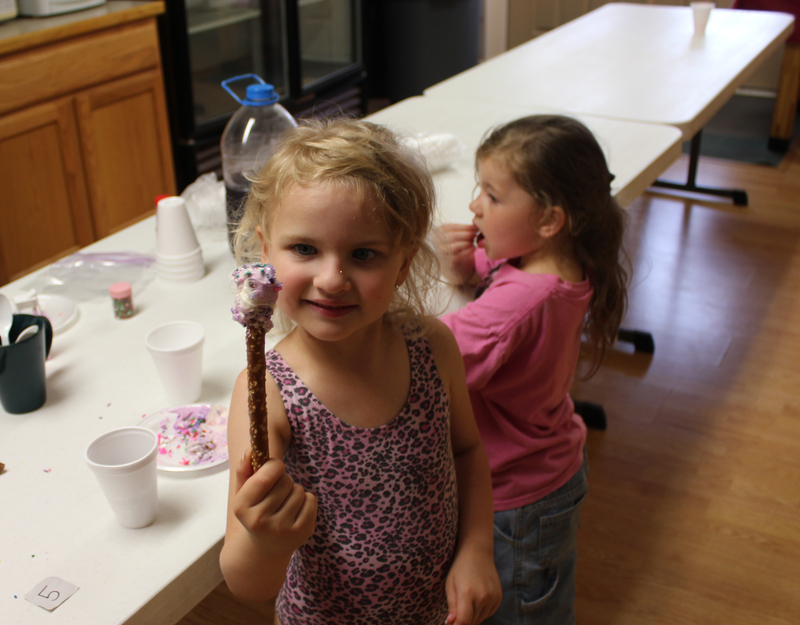 Pretzel, frosting, and sprinkle scepters were the Thursday snack. 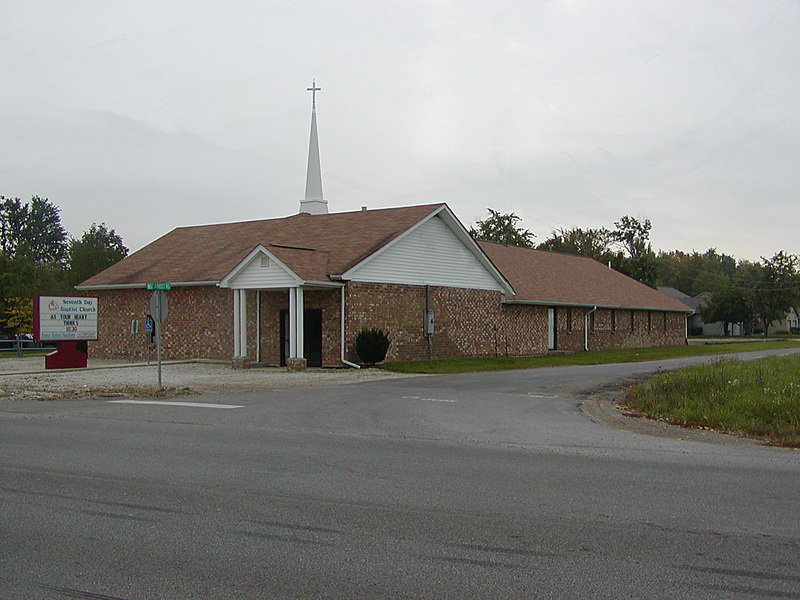 Previous postDo not be AFRAID — TO SPEAK UP!